The Node 2H (2 Holes) fits on the top tube of your frame. It has two holes underneath and is only mounted (screwed) on frames that have two-bolt mounting holes on the top tube. FREE SHIPPING FROM €100 IN ITALY AND FROM €150 IN EUROPE. The Node 2H (2 Holes) fits on the horizontal tube of your frame. The Node 2H has two holes underneath and is only mounted (screwed) on frames with two-bolt mounting holes in the top tube. It’s very stable thanks to this attachment system. This ensures that the bag holds on to the top tube and avoids the annoying side rocking when pedalling. The bag easily opens with one hand due to a convenient central water-resistant zipper. The interior is padded to ensure thermal insulation and good stability. 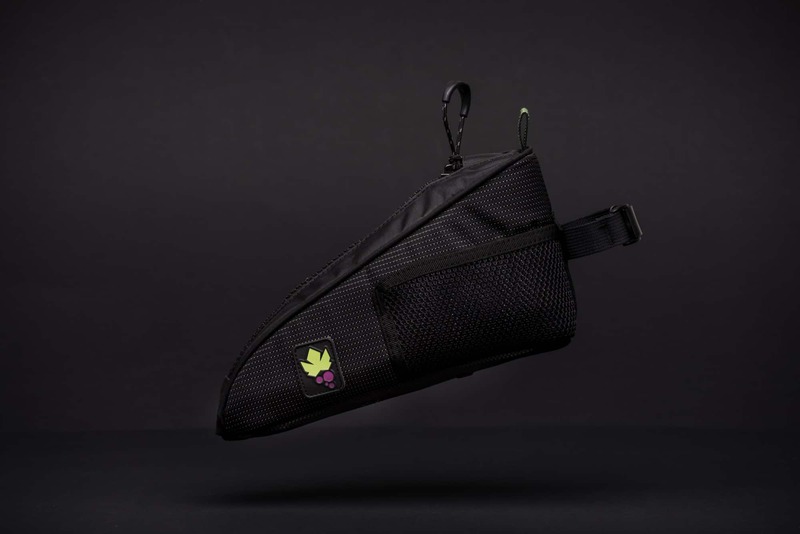 Two mesh pockets have been foreseen on the two outer sides, ideal for storing small objects or for putting away the wrapper of the energy bar you just consumed. The Node 2H bag is made of water-resistant fabric.